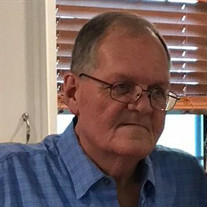 James Wesley Buller, 68, of Cleveland, Texas, passed away on Thursday, January 4, 2018. He was born on Thursday, July 14, 1949, in Sealy, Texas, to Charles Wesley Buller and Geneva J. (Lueb) Buller, both of whom have preceded him in death. James was also preceded in death by his sister, Joyce Ann Land. Left to cherish his memory is his loving wife of 44 years, Linda (Black) Buller; sons, Chad Buller, John and wife Jana (Boyett) Buller; daughter, Kristena (Buller) Vaughn and husband Derrek; grandchildren, Lacy Thompson, Gage Hancock, Juliet Buller, Jake Vaughn, and Jett Buller; great-grandchild, Austin Morris; along with numerous other loving family and treasured friends.